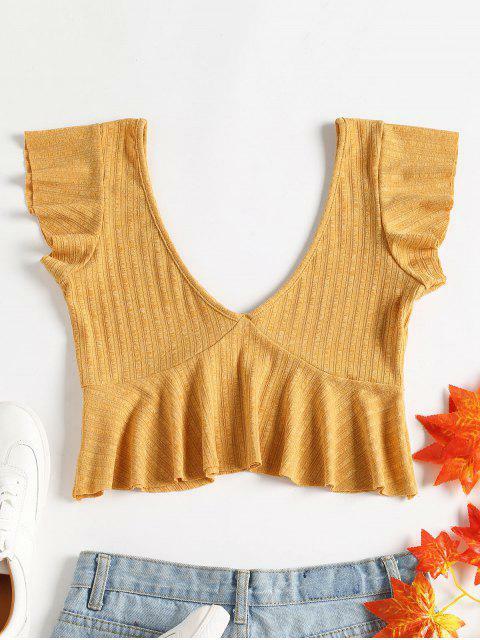 [29% OFF] 2019 Deep V Neck Peplum Tank Top In SUN YELLOW | ZAFUL ..
super cute and rlly good material. i got a size small and it fits really well. i was kinda scared it would be too big for me since my frame is quite small (size 0-2), but it isn’t loose at all! 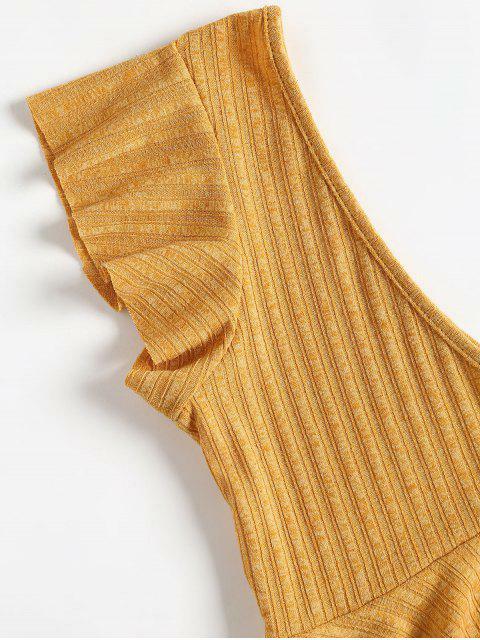 The fitted bodice of this piece contrasts against the peplum hem to create an hourglass silhouette. 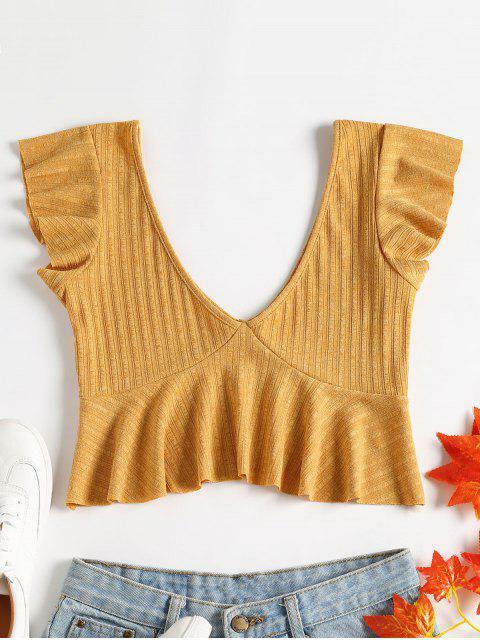 Finished with double V-collarline at the front and back, this ribbed top is a dreamy separates option for summer.